Terry Smith gave up making public comments on economic and political issues a few months ago because, he says, it was proving a fruitless exercise. Despite garnering a lot of headlines, nobody in government or central banking paid the slightest attention. That doesn’t mean he has stopped thinking what a mess they are making of monetary and fiscal policy, to name two issues that featured heavily on his punchy, but now discontinued blog. Last week, in an interview to mark the third anniversary of Fundsmith, the fund management business he set up in 2010, he was still hyperventilating on the subject of QE and the economic recovery – or, to be precise, on the folly of the former and the lack of the latter. “People talk about economic recovery a lot” he says, noting that cyclical recovery stocks have been making all the running in the stock market in recent weeks. “Nick Clegg says the UK economy is, quotes, “blooming”, unquotes. Well, can we just pause for a moment? We’ve still got the biggest monetary stimulus that’s ever been given out there at the moment, that’s ongoing in the United States of America as we speak, and certainly not being reversed over here. Underlying that also, you’ve clearly got a big fiscal stimulus in both places, in terms of Government overspending, even with monetary stimulus in the United States still running at $85 billion a month”. “So this blooming is going on against the background of still enormous stimulus – and here’s a strange thing. When we track what the companies in our portfolio are growing at, you know what? They’ve struggled to grow in the last few periods. Their growth rates have definitely fallen off. Incidents like the Unilever one [a recent earnings disappointment] caught people’s attention, but it’s more general than that”. Smith mentions a company called Church & Dwight, which manufactures toothpaste, detergents, condoms, pregnancy testing kits, cat litter, carpet deoderizers and a wide range of other mundane consumer goods in the United States. It is a low cost provider in the consumer market, with gross margins of 40% against the 60%-plus gross margins of a Proctor & Gamble or a Colgate in toothpaste. “It’s a budget operation and run by a really down-to-earth guy called Jim Craigie, whom we love –he’s so straight-up, it’s ridiculous, What he says to us is “What recovery?! “ He is not seeing any shift in the market between his business and those of upmarket competitors such as P&G, which is what you would expect if growth had really returned. And why is that? Because, as far as he can see, says Smith, “growth is not really happening. In the US economy, it’s just not happening”. If there was a genuine economy recovery, he goes on, the share price rises of the cyclical stocks that have been making all the running in the market for the last three to four months could well be justified. “However, I find it hard to believe that there’s a genuine recovery if people are not brushing their teeth more, or willing to pay a bit more for brushing their teeth than they were before. These things should be trickling down. Yet everyone is finding it difficult to find growth. Finding somebody who’s not is really tricky”. 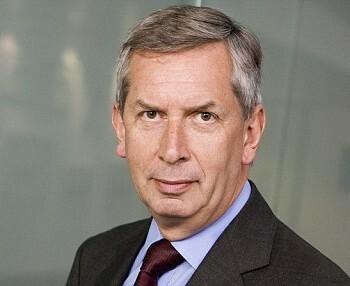 Smith’s equity fund, whose philosophy is to buy well-established global stocks with strong franchises and above average returns on capital, and hold them more or less indefinitely, has already collected £1.5 billion in assets since its launch three years ago, making it one of the most successful new fund launches of the recent times. Yet, going through the list of its holdings, Smith as yet finds little evidence to support the idea that economic growth is bouncing back. He sees other grounds for concern too: “I’m unconvinced that the Chinese problem [of excessive credit expansion] has been cured in just two quarters. The magnitude of over-investment there and credit expansion is such that that’s not a two quarter problem. And of course the linkages are great. There are lots of countries with whom China is now their main trading partner, Brazil, Chile, Peru – for all those South American countries, China is their main trading partner (not to mention Australia)”. Japan has also just had another massive miss in recording its 30th successive monthly trade deficit. For a country with such massive accumulated debt to be running an external balance of payments deficit is “mmm, interesting”, says Smith (for which read dangerous and unsustainable). In these circumstances, the idea that the Federal Reserve, the US central bank, is about to withdraw its $85 billion a month programme of monetary stimulus is laughable (it has to be said that Smith is prone to laugh a lot at the absurdities of today’s financial world). We have had QE 1, QE2, and more recently QE3/QE Infinity. What next, I ask? “I think what we’re going to see now is QE 99. I don’t think there’s any chance of the foot coming off the pedal”. And the consequences? “You can only believe that it won’t end well”. Having made one attempt to float the idea of “tapering” its asset purchase programme earlier this year, the Fed turned round and ran away from a decision in September. It will be in no hurry to start again any time soon, says Smith. It is worth remembering, he points out, that all that has been discussed so far is the central bank slowing down the rate of its bond purchases. The idea that it will actually stop them altogether, let alone sell the bonds it has bought back to the market, is frankly unthinkable. In effect, he agrees, we are heading down a road towards outright monetary financing of government deficits, albeit by stealth. That, says Smith, was both honest and correct. “It’s all started again”. As an example, he cites Del Monte, one of the companies that the Fundsmith Equity Fund owned and Smith liked very much (although it is best known for its canned fruit, its real strength is its hugely profitable pet food business, in which it is one of the market leaders). Yet Del Monte was taken out over earlier this year by the private equity firm KKR, much to Smith’s dismay. That deal, he points out, was funded with a “covenant-lite” loan –one that skimped on the legal protections normally offered to the bond investors who funded the deal. It was exactly that kind of loose lending discipline which helped to bring about the crisis of 2008, so its return is a worrying sign. “I think the world is a very much more fragile place than people give it credit for”, he says. Despite that gloomy prognosis, Smith has reason to be happy with the progress of his fund. For a single fund to go from nothing to £1.5 billion in funds under management in just three years, with only a modest marketing spend behind it, is no mean feat. The founder’s high personal profile and reputation has clearly played a part. Personal recommendations , good PR and word of mouth account for a good proportion of the inflows . Yet what investors have really warmed to. Smith thinks, is the fund’s uncomplicated Buffett-style investment philosophy – a concentrated portfolio of 25-30 global stocks with high returns on capital, powerful competitive moats and little need for debt – and its simple, transparent fee structure. While the annual management charge (0.9% for anyone with more than £5m invested, 1% for the rest) no longer looks quite as cheap in a post-RDR world as it did before. Nevertheless, as Smith is quick topoint out, the fund’s low turnover and minimal hidden costs give it a healthy advantage on an all-in cost basis. Given the minimal turnover in the portfolio, dealing costs amounted to just four basis points (0.04%) in the last 12 months, and three of those were the result of having to invest inflows of new money, not from any tinkering with the portfolio. On an all-in basis, Smith calculates, the fund’s costs sum to just under 1.2%, against more than 2.25% for the average actively managed open-ended fund. On a net basis, given that the fund has outperformed by 4% compound annually, the investor is still comfortably ahead, at least so far. Are not though, I ask, the kind of big global growth stocks that Smith likes to buy and hold becoming too richly valued? Smith says he gets that question all the time, and concedes that his stocks are not as good value as they were. The average free cash flow yield on the stocks in his portfolio was close to 7% when he set up the fund three years ago. Now it is hovering at a little over 5%. “There is no doubt that this strategy has become more popular, and the stocks have become more expensive, and that’s not the ideal way to deliver performance”. Future returns, inevitably, will be lower, but he argues there is no reason to change course, even if he felt that his mandate allowed him to, which it doesn’t. The way he looks at it, there is a hierarchy of ways to achieve performance in the kind of equity portfolio he holds. The ideal way – “the absolute best way” – is for companies to grow their sales. Second best is, if they can’t grow volume, is to have sufficient pricing power to keep revenues growing even if sales are flat. Third best is being able to cut costs. And finally at the bottom of the hierarchy, after all the others have been exhausted, is to use their surplus cash flow to buy back stock and pay dividends. ”In our view, if the world is going to be stagnant, it’s better to have companies who can do all that, including the last, than those who can’t”. Putting it another way round, the fund can improve its return only through either growth in the free cash-flows or from multiple expansion (a fall in the free cash flow yield). “Clearly, we’d rather have the growth in the free cash-flows, but you can’t always rely on that. Our guess at the moment is we’ve got a portfolio that’s yielding a bit over 5% in free cash-flow yield and growing at just over 7% per annum”. Together that adds up to a potential growth rate of a little over 12% per annum. “If we manage to do more than 12 and a bit, I’ll be pretty happy, frankly, but obviously, it would be much better if we started with the cash flow yield at 7% because then we could deliver 14 and a bit. One’s got to expect slimmer returns, I think, for a period”. The other point, he notes, is that the very best companies, the kind of ironclads that continue to churn out cash flows for years, can often be worth paying more for than you would expect. Before they started the fund three years ago, Smith and his colleagues did a study of stock market heavyweights over the prior 30-year period to see what multiples investors could have been justified in paying back in 1979 for the best subsequent performers. Some of the figures were quite startling: you could have paid 34 times earnings for Colgate and 38 times earnings for Coca-Cola back then and still beaten the S&P 500 index over the next thirty years, even though the index was on a multiple of just 10 at the time. For Wal-Mart the figure was 277 times earnings! “The reason” says Smith “is that the average growth rate for those companies, excluding Wal-Mart, was about 16% per annum over the next 30 years, whereas for the market it was 11%, and that differential of five per cent causes an amazing difference when compounded over 30 years”. Investors who “have an attack of the vapours” when the P/es of their stocks get to 20 should take note. As Buffett said when he paid up for Coca-Cola in the 1980s, valuations of a genuine long term growth stocks might leave his mentor Ben Graham, the father of deep value investing, spinning in his grave, but they can confound the sceptics if you can pick the ones that can deliver that kind of sustained performance. The only pity, we agree, is that there aren’t more of them around. When we turn to talking about individual stocks in his portfolio, Smith says the main challenge is finding replacements for stocks that he has either reluctantly sold or, like Del Monte, lost to M&A. He has sold out of two positions this year. One was Schindler, the escalator company – Smith loves lift and escalator companies almost as much as loves the pet food business and still owns Kone, another one – but its valuation had become too demanding and it had fallen to under 1% of the portfolio by value, making it too small to make a difference. The other sell was McDonald’s, which he notes has been struggling to grow its sales, unlike his other fast food holding, Domino’s Pizza (the US holding company, not the London-listed UK and Irish franchisee). “What that tells you”, he says “is that with McDonald’s, contrary to its advertising slogan of “We’re loving it”, people are not loving it at all. In fact the only thing they’re selling on is price, and we try and avoid investing in companies which rather than selling you a consumer experience that’s pleasant are just selling price to you”. It is only when I ask about his latest purchases that Smith falls uncharacteristically silent. He is building positions in two new stocks, one of them in another business he loves, which is the medical equipment sector. This one makes catheters and other bits of small ticket medical equipment items that doctors keep issuing repeat orders for every year. All he will say is that “it is all a play on an aging population. As any number of people will discover, you end up with these tubes stuck somewhere as you get a bit older. That is the consumer as far as we are concerned”. The other company is a payment processing company. And what is the most underappreciated or controversial stock that he owns, I ask by way of a parting shot? His answer, surprisingly, is Microsoft. What he likes about it is that it has an installed base of software with annuity-like characteristics. Most companies today, he points out, have only just got round to upgrading from either Windows 2003 or Windows XP to Windows 2007. All the upgrading to Windows 8 still lies in the future. “That’s what I mean by the gift that keeps on giving, because they’re going to be upgrading to Windows 8 in years to come, not now, and the only reason they’re upgrading now is because Microsoft is stopping the security patch updates on XP and 2003”. In fact the biggest business Microsoft is in is not software, but servers and tools, where the customer is a company CIO, not an individual user. Even X-Box is a pretty successful business. “I’m not sure they should own it because it’s a consumer business, but the biggest selling consumer electronic product in the world is not the iPad, it’s actually the X-Box.” Bing, Microsoft’s search engine rival to Google, is, he admits, a disaster. “They seem to be in a billion dollar a year loss race to try and come third in one-horse race in search, which strikes me as stupid, but there you go! But I still think there may be a great future for Microsoft, just as there’s been a great past, if they concentrate on software and devices for the business user rather than trying to take head-on the consumer market. We’ll see”. In the meantime the numbers look good: sales are up from $44biliion in 2006 to $74 billion today. Operating cash-flow has grown from 14 to 32, despite the downturn. The FT’s Lex column recently wrote about there being Four Horsemen of the Apocalypse, as they described it, in the IT business, and speculated that a fifth horseman – Ebay – may join them. “Their Four Horsemen were Apple, Amazon, Facebook and Google – no mention of Microsoft. Yet it is still the fourth or fifth biggest company in the world, and the dominant business provider. Amazon is an IT company? Really ?”. Smith is incredulous. “I thought it was a retailer! What are all those big warehouse things for then, if it’s an IT company? I think Microsoft is one of those companies where people have got massively positioned on. For investors like us, we don’t want to own the things that are at the cutting edge of development – you know, this company is the canine genitalia of development, blah, blah. That is not what we aim for. We’re looking for the guy with the installed base whose business ticks over year after year”. This is a fuller version of an interview which first appeared in the November 1st 2014 issue of Money Week.